Page speed is critical to your website’s success, and page speed testing tools like GTMetrix, WebPageTest.org, Pingdom, and Google PageSpeed Insights are great at helping you achieve it. These tools provide valuable insight to help you identify where your page speed is suffering, however, they are limited in what they can do to help you improve your site. The fact is these tools can alert you to client-facing issues that are affecting your site, but they can’t “look under the hood,” so to speak. They can’t tell you about the server-side technologies you’re missing out on that can vastly improve your page speed. HTTP, or Hypertext Transfer Protocol, was the standard protocol for websites for as long as anyone could remember. The foundation of the internet itself was built upon HTTP, and that foundation has stood strong (more or less) ever since. Then in February 2015, the Internet Engineering Task Force (IETF) approved the HTTP/2 specification to replace HTTP, bringing faster websites with it. SPDY is the experimental protocol developed by Google in 2009. It reduces page load latency and improves web security. HTTP/2 was even based on SPDY, building on its success. Although Chrome no longer supports SPDY, some servers can support both SPDY and HTTP/2 simultaneously. According to CloudFlare, HTTP/2 can almost double the speed that your web pages are downloaded at compared to traditional HTTP. Likewise, SPDY offers a 50% improvement in speed. And as if that wasn’t enough, HTTP/2 is also more secure, as it is currently only available for HTTPS. 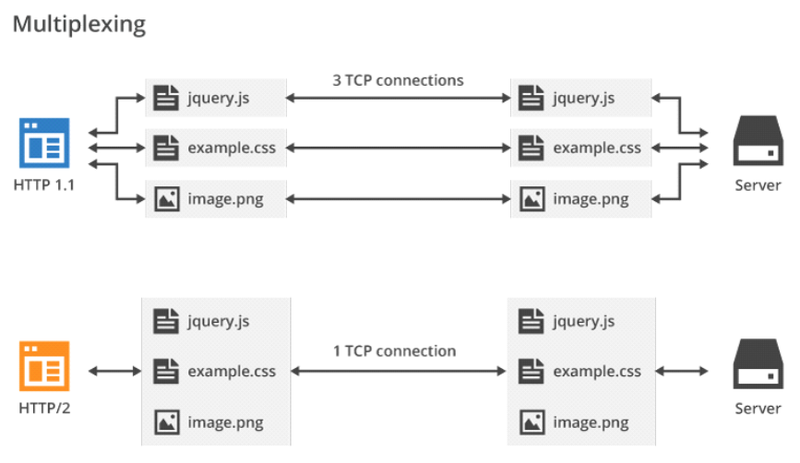 HTTP/2 and SPDY offer speed and security all in one. They are the new standard—faster and safer than what came before. Ecommerce sites that deal with sensitive customer information have an obligation to protect its customers, but any kind of site can benefit from what HTTP/2 and SPDY offer, so be sure to get your site acquainted with them if you have not already. Your customers will thank you for it. PHP is utilized by approximately 81.8% of all websites using a server-side programming language (Source). If you are part of the vast majority currently using PHP, you should look into updating your PHP version, which can greatly reduce loading times. With over 97.5% of the web still using a version of PHP 5, there are a significant amount of websites not taking advantage of ZendOP Cache, a PHP accelerator that is bundled with PHP version 5.5.0 and higher. PHP accelerators improve web application performance by storing precompiled scripts and their results in shared memory, offering significant performance increases. According to Pantheon, PHP code execution time decreased by over 20% just by upgrading to PHP 5.5, which supports ZendOP Cache. So if you fall in the lucky bracket of PHP 5.5.0 or later all that is left for you to do is fine-tune your Zend OPcache settings in your php.ini file to maximize its effectiveness. There are even some performance improvements from PHP 5.5 to 5.6 as well, so you’d be wise to update as soon as possible. While ZendOP Cache offers significant performance improvements, upgrading to PHP version 7 could offer even further improvements over its predecessors. Compared to PHP version 5.6, PHP 7 boasts a 200% faster PHP code execution time and 50% lower memory consumption. The performance breakthroughs are due to Zend Engine 3.0, which continues the robust support for PHP. Please note that before upgrading to PHP 7.0, you should make sure your website and plugins will be compatible with the latest version of PHP. WPEngine has a plugin available for WordPress that can scan your plugins and themes for any incompatibilities with PHP 7. You may also use a command line tool – php7cc to check for incompatibilities as well. With updated PHP, you decrease the difficulties your site has to overcome to show users what they want to see. See if you can support one of the later versions, then update and enjoy the increased performance you get. As long as you update, you and your customers will benefit. In addition to PHP accelerators like Zend OPcache, you can further improve your page speed performance with a Web Application Accelerator such as Varnish. Varnish Cache is used with any HTTP server and can speed up a website by a maximum of 1000 percent. It also reduces server load by up to 89 percent while handling an unlimited number of simultaneous visitors. Varnish Cache does this by caching responses that they then deliver to users within microseconds. If a response isn’t cached already, Varnish will fetch, cache, and then deliver it. Keep in mind that there are a few exceptions to what Varnish can cache, such as cookies. Additionally, you can use a distributed memory object caching system such as Memcached. When installed, Memcached can decrease database traffic by up to 95%, allowing for more requests per second and more throughput. It works much the same way Varnish does, storing data and objects, but Memcached does so for a specified amount of time. You can also set how much RAM Memcached can use. Alone or working in conjunction, both applications can significantly speed up your website by reducing the amount of work your web server has to do for each request. Ideally, you’ll want to use both Varnish and Memcached together. Memcached primarily caches data and objects from databases and Varnish acts as an HTTP accelerator to offer a much faster experience. Something webmasters often overlook is the number of plugins, modules, or extensions running within a site’s CMS software. Sites can load slowly for a lot of reasons, but sometimes you might just have too many plugins installed, or you may have some plugins that haven’t been configured correctly. Each plugin you add to your site adds additional overhead. P3 lets you view the runtime of your plugins and see exactly which ones are demanding the most of your resources. It offers readable charts that make it easy to see the worst offenders, and you can even send the results on to your web dev team. When a visitor uses your site, they may visit lots of different pages or interact with lots of different things (like downloading multiple files at once). 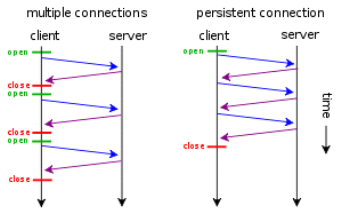 The default way an HTTP connection handles this is to treat each request separately, closing each connection after it is done. This isn’t very efficient, and it can waste server resources. It’s a problem because webpages are often made up of many different parts, and loading all of these can be taxing to some connections. HTTP keep-alive web browsers and web servers agree to reuse the same connection to transfer multiple files instead of using several connections, thus reducing latency and CPU usage. So even if someone makes several requests at once, the same connection is used. These days, many HTTP connections have keep-alive enabled. However, it’s still best to double-check that they’re open so you aren’t putting unnecessary stress on your server. Many page speed tools can tell you whether the headers are there, but you’ll have to enable them yourself. HTTP keep-alive can be enabled on Windows and Apache servers. Remember, you want a fast-loading website to help users. Page speed tools can help you find what’s wrong, but they won’t offer any solutions. So take control over your site, and take the next steps toward page speed success. Speed is critical. Everyone likes things fast. Why the wait? Speed optimizing any website will give it an extra edge over its competition. I always implement speed optimization to all my clients regardless if they pay for it or not.Speed optimizing a website should be essential but not all web developers are implemtenting such practice. Would this also effect ranking? I do think that google may consider this as part of their ranking algorithm. It’s very helpful. Thanks for sharing this guide.